a Chocolate Fountain from us! 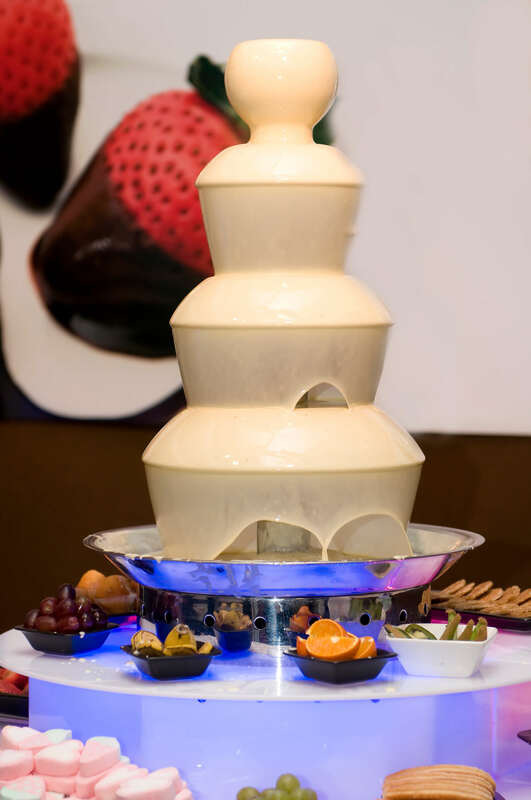 As one of the top Chocolate Fountain Rental companies in London, we know you are looking for spectacular service and we offer three packages to accommodate your chocolate fountain rental needs. Making your event magical is our speciality, and we know from experience that this requires a flexible approach. All our fountains look amazing, and guests will be drawn to them by all their senses! 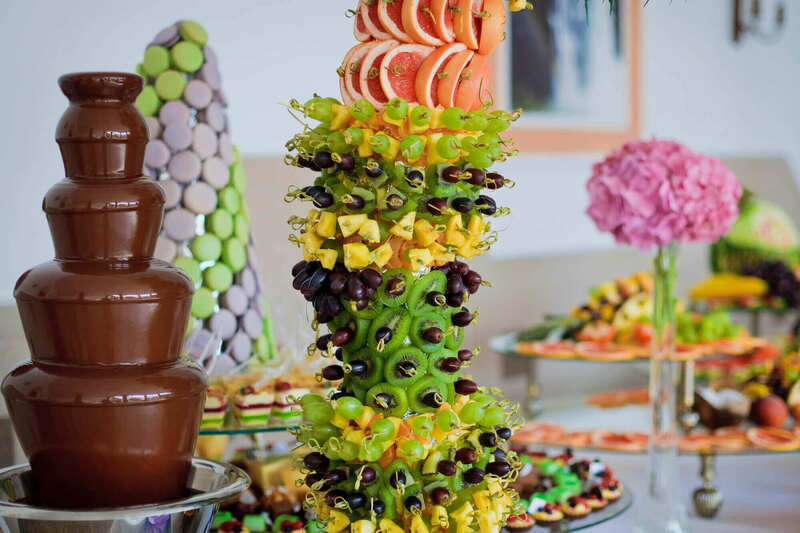 Our chocolate fountain rental packages allow our clients to make choices, ensuring that you and your guests can savour a truly scrumptious total sensory experience that is brimming over with everyone’s favourite treat: chocolate! Choosing from our packages gives you a base to start from, and you’ll be spoiled for choice with our range of decadent and delicious dips. Which Fountain is right for you? Our brilliant Bronze package is ideal for more intimate parties. Our Silver package is perfect for weddings or larger parties. A truly show-stopping piece that would suit a large wedding or big event! Make your occasion a memorable one. Contact us now for our chocolate fountain rental prices. What Dips can I choose from? 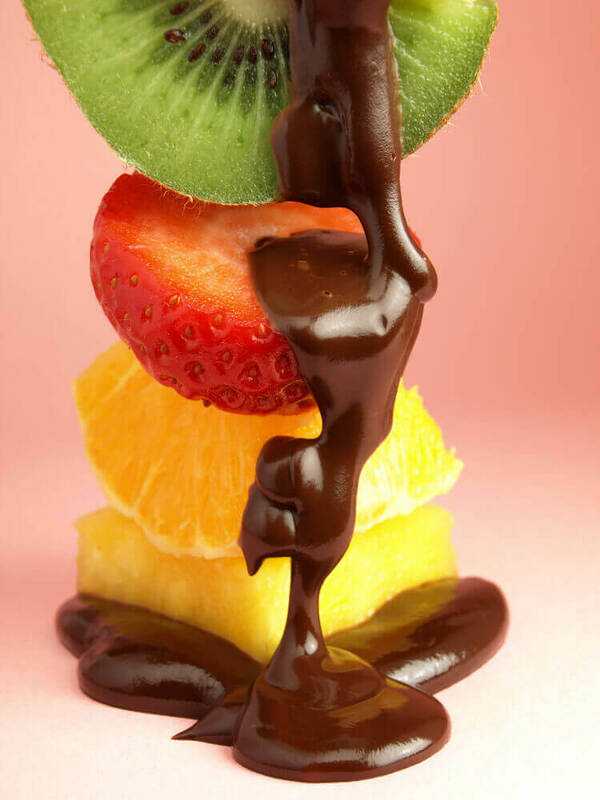 At Chocolate Fountain Hire London we have a huge range of Dips to choose from! You can pick and mix your favourite dips from our fantastic ranges of fresh fruit, bakery and confectionery; after all – you can never have too much choice! Our seasonal fresh fruit and delicious bakery products are sourced on the day of your event to guarantee ultimate freshness for you and your guests. Our service is always excellent and this extends to our sourcing of products. How long can I book the fountain for? 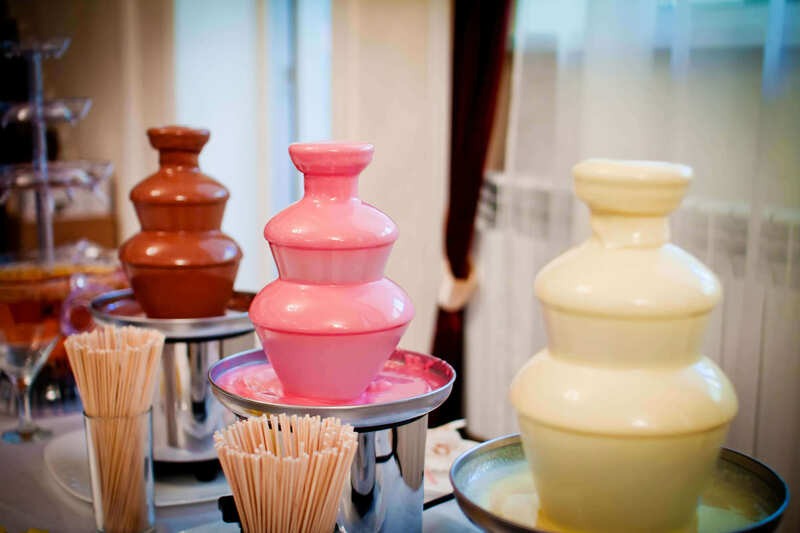 Our Chocolate Fountain Rental packages are based on 2-3 hours of hire, but we are very flexible! We can accommodate your needs to make your event as perfect as we can, so that means if you need us for 4 hours or 6 hours, we can arrange that. Let us know your requirements and we’ll see what we can do! How many guests does the fountain serve? 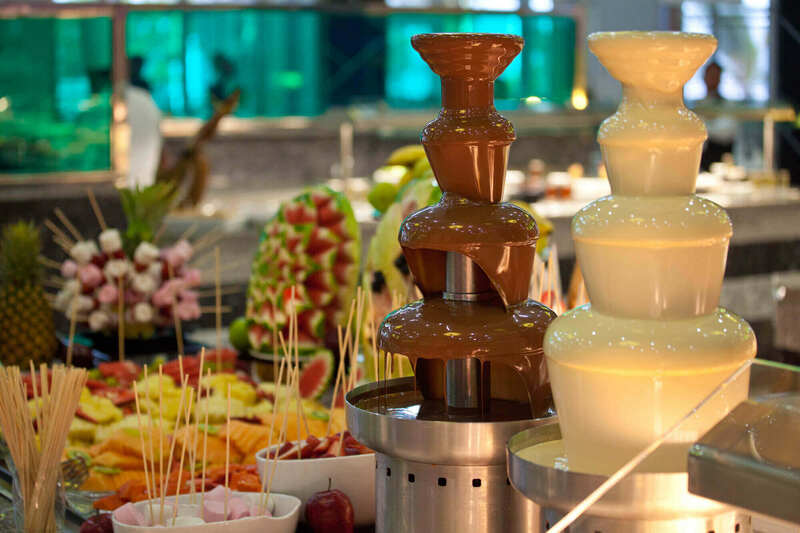 Our chocolate fountains serves 50-400 guests, but tell us how many guests you need a fountain for and we can ensure our attendants have enough chocolate supplies to keep every guest smiling! Our packages are based around set figures, but there is flexibility as long as we know in advance. How long do you need to set up and take down the fountain? We need around 45 minutes to set-up, so will need access to the venue an hour prior to your hire; and then another 45 minutes to dismantle fountain at the end of hire. I need the fountain setup one or two hours before the actual event and fountain should start, is that ok?